I’m pleased to say that Superhero Week here at Geek Native is in for a treat. 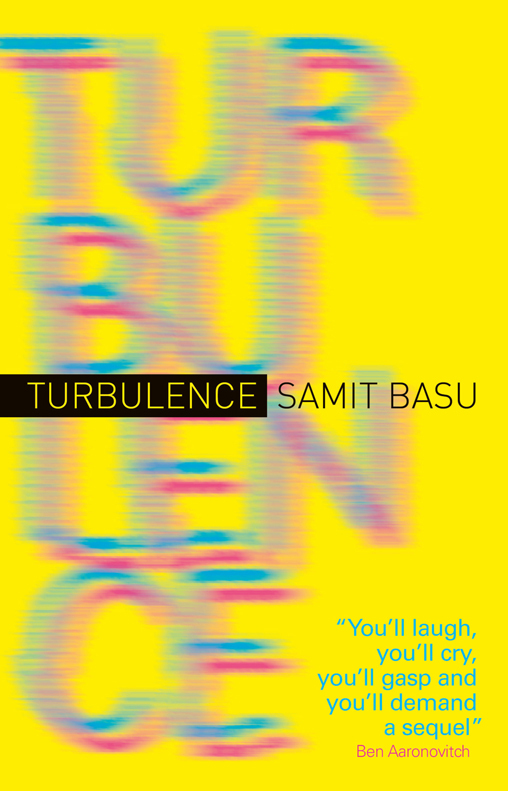 We’ve managed to lure Samit Basu, author of the new superhero novel, Turbulence, in for a Q&A style interview. That’s not all. Samit Basu is also the judge in our Superhero Week competition. That’s a chance to win a copy of his book and some spending money from Geek Native. To win? All you have to do is tweet an original superhero idea to Basu’s publishers Titan Books and impress the judge. Q1. Are you a fan of the superhero genre? Or has the traditional superhero story – as Turbulence hints at – already been done and doomed to end in a meaningless fight? I’m a big fan or superheroes, across media. I think the basic idea behind superheroes is ageless, and classic, and always fascinating. And perhaps more importantly, it’s a genre where there’s a lot to explore, one of the few genres that are still getting better. So I don’t think it’s done at all – I think it’s exciting, and evolving, and has always been, in terms of fantasy and SF at least, the most flexible- changing with the times, expressing current cultures, opinions, crises, concerns. I didn’t grow up on superheroes, those comics weren’t really available in India. I really reading superhero comics when I came to London to do an MA, as an adult, at a time when superhero comics had evolved greatly. So the writers i read – Moore, Gaiman, Ellis, Ennis, Morrison, Carey, Vaughan, Miller, Bendis, JMS – had already reworked, revised, updated and deepened the classic stories into a genre that was not only complex and sophisticated, but also constantly self-referential and self-mocking. So I’ve read very few bad or unintelligent comics – in any case, there’s great and terrible work in every form of literature. Q2. Hollywood’s got their teeth into the superhero scene in a big way. Do you think this has been helpful for fans and writers? Definitely helpful, because it means there’s a lot of interest in superhero stories. Also, the success of directors like Joss Whedon and Christopher Nolan has shown the world that superhero stories can be deep, and clever, and thrilling without just being about costumes and explosions. Comics readers knew that all along, but I think the less informed were still asking why Superman wore his underwear outside. Hollywood’s fixed that. Q3. Who would you trust most to produce a Turbulence movie: Hollywood or Bollywood? Why? Definitely Hollywood, because there are so many people there who understand this sort of story, and Bollywood’s superhero movies usually fall under the so-bad-it’s-brilliant category. That said, there are many brilliant people in Bollywood who would get the setting and characters in a way that Hollywood never could. I actually spent a fair bit of last year trying to get a Turbulence film made in Bollywood, and discovered that the process has very little to do with the actual story being told – every producer and director I met wanted to do it, but said they could only raise money for a project on this scale if one of the top singing-dancing-fighting Bollywood megastars was attached. Which would of course mean major story changes based on their whims. Maybe it’ll all come together in a few months, maybe never. There’s been the beginnings of Hollywood interest too, so let’s see. Q4. Where did the inspiration for Turbulence come from? Did you draw on other sources of inspiration as you wrote the book? I started writing Turbulence in the summer of 2009, which is when the story is set. The whole idea was to write a book as deeply set in the present as possible, a book set on a huge scale, with real consequences not just for the characters but for the world at large. And when you’re writing a fantasy story that’s set in the present, and looks at events on a global scale, and stars people who can actually change the world, it makes sense to make them superheroes. Especially because nothing embodies the zeitgeist these days better than the superhero – they’re everywhere, in one form or another! The book really revolves around two questions that apply to everyone, human or super – what would you,do if you got what you really wanted? And how would you feel if you were given the power to change the world? Q5. Are superheroes beyond the law? If not – should they hand out summary judgement on one of their own in such a way that excluded criminal courts? Several comics have dealt with this theme down the years, especially some of my favourite X-men stories. To answer briefly, no, but there are so many situations where human laws can’t deal with them. And of course they shouldn’t hand out summary judgement, which is why the police are chasing Batman right now. But then, if superheroes had time to worry about the legal ramifications of their work, their worlds would be less interesting. My next book, set in the same world as Turbulence, will deal with this in greater detail, but eventually, superpowered people will need their own laws, codes, sports contests, election guidelines and systems of criminal punishment. Q6. Turbulence features many countries but big chunks of the story are set in either India or the United Kingdom. Why does the United Kingdom feature at all? A number of reasons, the first one being that London is one of my favourite cities in the world, and the only city outside India that I’ve lived in and know well, and I wanted the setting for every set-piece in the book to be in places I’d actually been to. My previous books are all set in made-up worlds so I thought this would be an interesting experience writing-wise. The most superficial reason is that if you have to destroy a city, Michael Bay style, and expect the world to be interested, then it should be a city whose landmarks everyone in the world is immediately familiar with. The only Indian monument we have that qualifies is the Taj Mahal – and I’ve never seen the Taj Mahal in real life. The world media wouldn’t really pay much attention if superhumans run amok in Indian cities, that’s just how things work, though of course we’re growing closer to a global culture every uear, thanks largely to the Internet. The other theme, which I actually talk about in the book, is that the Indian response to the sudden arrival of superheroes would be far less dramatic than in the West. As with bombings, floods, epidemics and various other disasters, people would gossip about it, but essentially move on. And that’s really not what you want at the end of your book. And another reason is an Indian joke – to be important among the Indian elite you have to be validated by the West. Q7. Was it hard to balance the super powers in the book? Did anyone have the potential to hijack the plot or become a deus ex machine? Keeping powers more or less in the same area code are one of the biggest challenges of any kind of superhero storytelling- also making sure that people don’t have powers just to balance out other powers. The story is all-important, and should flow from the powers, not the other way around. 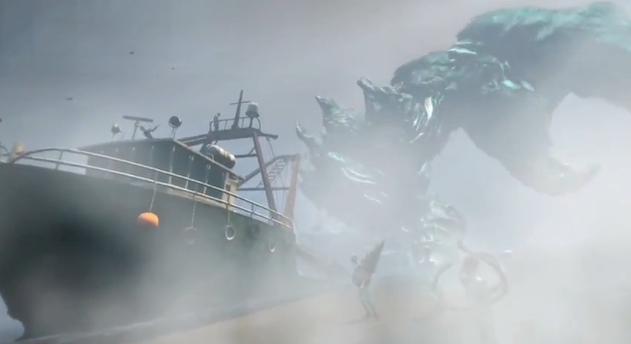 I spent a fair amount of time thinking about this, so I’m happy to report that most of the characters didn’t wander off the map too much, though some of them kept stubbornly refusing to die when they should have. Q8. To what extent are the powers in Turbulence a reflection on modern society and culture? Entirely. The whole idea between choosing the powers was that they should be as much about the now as possible, reflecting current dreams, desires, aspirations, obsessions and fears. A lot of the superpowers we’ve seen down the years, while often spectacular within the contexts of those universes, or supremely relevant at the time in which the characters were created, are really out of date now, and while they’d be very impressive when you met them, simply wouldn’t have any impact on the world at large. Which is why I didn’t want my central hero to be a Superman substitute. Q9. If you could have anyone super power – what would it be? Tia’s power – to have multiple bodies, live several lives and never miss out on any experience. Q10. There are many superheroes in Turbulence but if you could only pick one of the characters as the book’s actual hero who would it be and why? Aman Sen. He’s a real leader, in the sense that he’s looking to save the others, and then the world, going beyond how he could use his powers to help himself, really looking at the big picture, trying to prevent events from sliding into chaos, and looking ahead, trying to see how superheroes can change the world, not just preserve it. Q11. What would you say the underlying message in Turbulence? There isn’t an underlying message, really. There are character points of view that readers will hopefully identify with. I think if I read it I would think the world needs changing, and there’s no one right way to do it, and we should all just muddle along doing the best we can. But that sounds uncomfortably like one of the moral messages they used to show at e end of the He-Man cartoons, so i’ll stick to saying there’s no message. Q12. Which other writers and books would you recommend to the readers of Geek Native? I have a long list, but it’s the standard list, I don’t think there’s anyone in it you don’t already know and love. In terms of superhero novels, I really enjoyed Austin Grossman’s Soon I Will Be Invincible. Q13. Turbulence will have a sequel. What teasers can you give us about Resistance? If Turbulence is the Superman book, Resistance is the Batman book – one of its central themes is the reaction of some very talented and influential humans to a world where they find they are suddenly irrelevant. I’m trying to make it as standalone as possible, though of course many characters from Turbulence will be major players. Expect a lot more fantasy elements, as a world pretty much run by superheroes is bound to be very different. Meet other roleplayers and join the Geek Native Facebook page. Superhero Week: 23 superheroes memes!